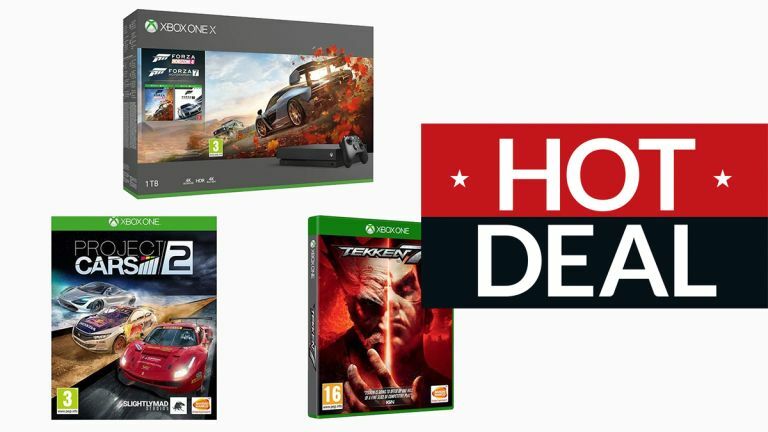 As Black Friday weekend continues, we're seeing a load of appealing deals appear around Xbox One and PS4 gaming, and this is one of the best yet: Currys is offering a 1TB Xbox One X with Forza Horizon 4, Forza Motorsport 7, Tekken 7 and Project Cars 2 for the low, low price of £359.99. So, not only will you get your hands on one of the best 4K gaming consoles that money can buy, you'll also have four fantastic titles to start playing around with straight away. This should last you all the way to Christmas and beyond. With the Forza titles this is obviously going to appeal most to racing fans, but remember Tekken 7 has a lot of beat-em-up action, and the Xbox One X also comes with a 4K Blu-ray player too – so there's lots to keep you entertained even before you start buying any other games. The Black Friday deals keep coming and going this weekend, so we'd recommend checking back here regularly to see what else you can save yourself some money on, whether you're into the Xbox, the PlayStation, or the Nintendo Switch.